To fully leverage your local market’s traffic opportunities your business must stand out at the top of the local maps. Business owners are often confused about Google Maps SEO services because they believe that they are already listed in the maps. They are, you can Google their business name and their business appears in the top position. But, your potential clients don’t know your business name… if they did they would just contact you directly. Your Google My Business account / Google Maps listing needs to be optimized for keyword phrases that are relevant to your niche offerings. We position our local SEO clients for groups of up to 20 relevant keyword phrases relating to their niches. Take our free local maps SEO training to learn more – and then hire our team to maximize your local visibility on the internet. If you have questions or want us to optimize your Google My Business account for you to ensure that you show up in the local maps, be sure to contact us. 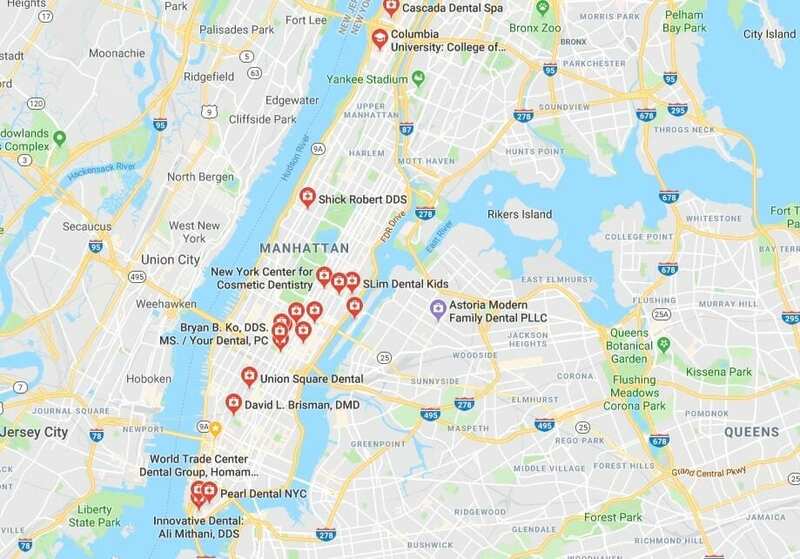 Does your organization show up in Google Maps? Have you lost Local Maps ranking? Do you think you should be driving more traffic with Local Maps SEO? In our FREE Google My Business Training, we’ll show you how to optimize your Google Local Maps/My Business listing. Then if you want to take it to the next level, you’ll want our GMB Local SEO Ranking Service. Ready for Maximum Visibility With Our Local Marketing Services? Google My Business (GMB) is technically a directory, but it is a local traffic driving powerhouse. If your business has not claimed its My Business page then you should do so ASAP. GMB is free and when properly optimized like we teach in the training you can access above, you will get some great exposure by being optimized enough to rank in the local maps three-pack. Visit google.com/business to setup your Google My Business page. Or, if you want to ensure that it is done properly, use the form below to have us do it for you. Setting up GMB involves a verification process: Google will mail a postcard with the unique PIN to the physical location you indicated in the registration. Keep in mind that you cannot use a P.O. box… it has to be a verifiable physical address. If you don’t have a physical address that you want the general public to see, we teach you in the training how to serve an area while keeping your address private. Once the postcard arrives, you just need to log in to GMB and verify your listing using the pin number sent to you. The pin verification process is required because Google needs to confirm a physical location is real, and for security/privacy purposes you need to display that you have GMB administration privileges. According to GMB’s terms of service, the business owner is the only person who is supposed to register a Google My Business listing page. If you choose to work with a digital marketing agency like Sapid then you have the option to give us permission to manage your GMB listing. This way you will always be in ultimate control. We completely cover this process in the training that you can access above… To have your GMB listing be displayed, the minimum you will need to do is to add a description, categories, pictures, business hours, videos, types of payments accepted, etc. You also want to make sure to upload your logo and consider having a Google-certified photographer take internal photos of your business. Keep in mind that these are the minimum requirements. We fully cover what is needed in the training videos, but if you are in a competitive market, location or niche, then you’re going to need some additional service to effectively rank your business for relevant keyword phrases. If your business focuses upon a national or global target market, then you need SEO services that will rank your site at the top of Google search results. Select relevant categories to your business offerings.Real physical address in target city. Do the addresses and phone numbers match what is listed on the website? Do other websites verify your business location and phone number? Does your website rank? Your associated business website should be optimized also. How long has your business website been live? Are their quality backlinks connected to your site? Is your Google+ page verified? Is your targeted city mentioned in the headers and/or titles? How close is your business to the targeted city? Do you have reviews on your GMB listing? Are your product/service keywords included in the business title? Do you have backlinks from geographic-relevant websites? 1. Fix or remove false listings. Both Google and users can report listings as false. 2. Avoid keyword stuffing in the business name area. Add 1-2 keywords max. 3. Don’t use more than 3 categories. 4. Make sure your business category is correct. 5. Don’t have multiple locations with the same address and different titles unless they are really separate businesses. 6. Make sure the address is the same as that displayed on the website. 7. Make sure the business name and phone number are the same on other websites. 8. Avoid doing anything that would report a violation of GMB terms. 9. Make sure there are no virus threats, malware or hacks on your linked-to website. 14. Don’t put a map marker in a location that isn’t associated with your business.